Five Interesting Facts about Jamaica - Cavanor Auto Rentals Ltd.
Jamaica is known for its beautiful beaches, the warm and inviting weather and its cool and friendly people. With a population of about 2.8 million people, the beautiful island has blessed the world with some of the most talented singers like, the King of Reggae music, Bob Marley, the man himself Peter Tosh and also the smooth Dennis Brown, just to name a few. In addition to its music,it is also safe to say that they know all about the fast life, from athletes like Asafa Powell, Shelly-Ann Fraser-Pryce and Elaine Thompson to the legend of tracks, Usain St.Leo Bolt (fastest man on the planet! ).One would think that they’ve heard just about everything they need to know about Jamaica, but here are five interesting facts about the country that most people didn’t know ( yes, even Jamaicans ). Jamaica is the only flag in the world that does not share any of the colours on the American flag. Every other flag has white, red or blue, except Jamaica. 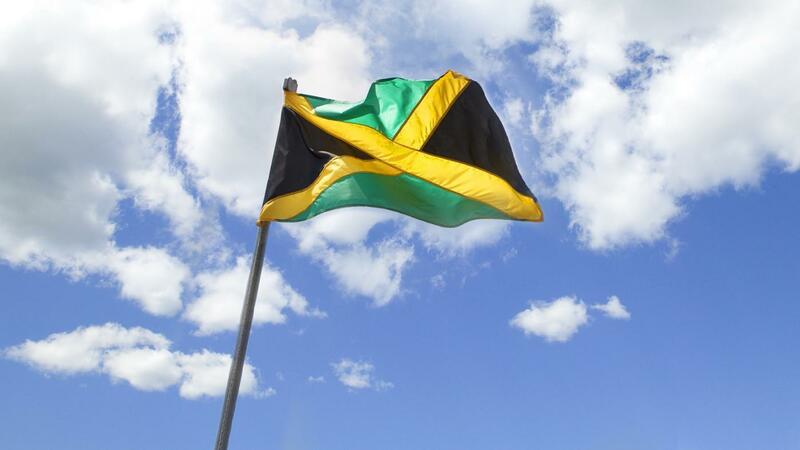 The black, gold and green that represent the country’s flag confirm how truly unique Jamaica is. The Manchester Golf Cub in Jamaica, established in 1868, is the oldest in the western hemisphere. There is a place called Whitefield Hall that does not have any electricity.Located in the Blue Mountains of St Thomas, this hostel can host up to 33 people in the rustic accommodations. Within the house there is no electricity, so night-time light comes from Tilley kerosene pressure lamps and normal kerosene lanterns. All bathrooms are shared and only have cold running water. There is a bar that is located in the middle of the ocean. Yes, you read that right. The Pelican’s bar is located 1 mile from shore and the closest town from the bar is Black River which is 7 miles away. Reviewers have called it the coolest bar in the world! There is a secret spot that celebrities love! Two words, Geejam Hotel! This private getaway is hands down one of the most beautiful places that one could ever visit in Jamaica. Located in Port Antonio, this exclusive hotel has a bushbar, private Jacuzzis and even its very own recording studio. This is definitely the 8th wonder of the world. Well there you have it, some interesting facts about Jamaica, and most of all, some interesting places to visit. Don’t just sit there gawking, plan a trip today with Cavanor Auto Rentals. Choose your car, load in your luggage, turn on the GPS if necessary and prepare to have the time of your life! Who knows, you may even discover some new facts about the island of Jamaica. Enjoy the luxuries that Jamaica has to offer with a vehicle rented from Cavanor Auto Rentals.